Therapeutic exercise is a key component of any rehabilitation program. 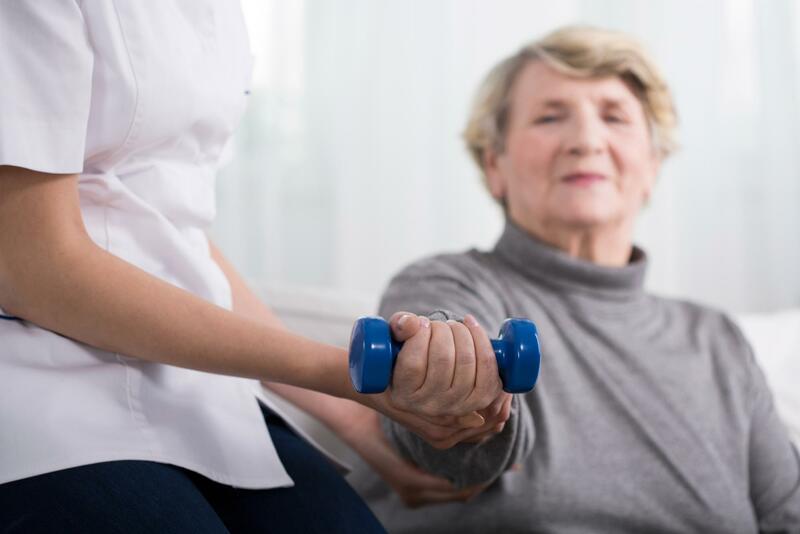 Occupational therapists have been utilizing therapeutic exercises with great success and it has been demonstrated to be fundamental in improving function, performance and disability. Therapeutic exercise can consist of a variety of exercises inclusive of balance, strengthening, range of motion, endurance, and plyometric activities. The goals of therapeutic exercises include the restoration of movement, improvement of function and strength, improvement in gait and balance, and the prevention and the promotion of health, wellness, and fitness. Specific exercises are aimed at restoring strength, power and work, or endurance, or a combination. Therapeutic exercises are also utilized to increase range of motion, decrease pain, improve balance and proprioception, and restore function. Talk to your doctor today about the benefits of starting occupational therapy or contact our Roswell office!